Container transport is an important element in the growing imports market. To make quick handling of large volumes possible, the vast majority of containers shipped by barge to the company's own terminals and associated warehouses after having been processed at the Port of Antwerp. Containers intended for export can also be loaded at the company’s sites and be transported to the port by barge. 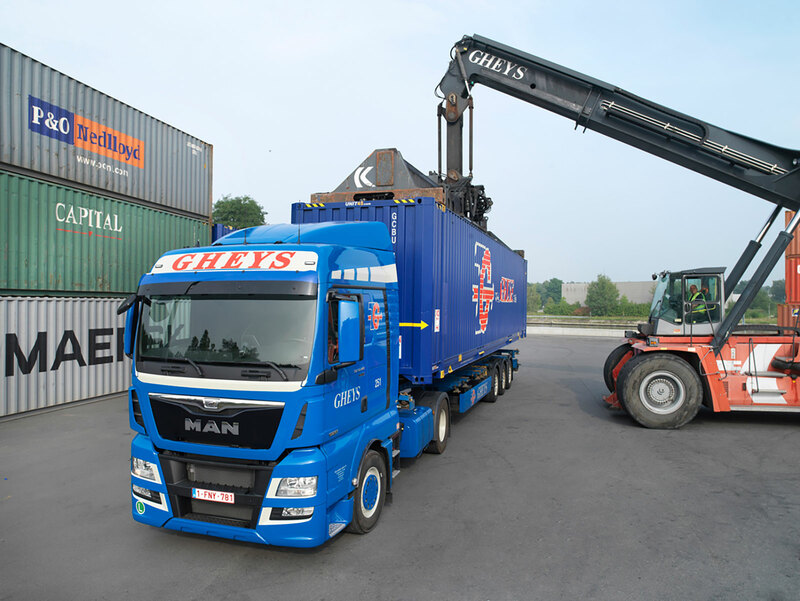 If there is a requirement to deliver a container from the Port of Antwerp directly to the consignee, or if a shipment requiring expedited processing is involved, Gheys transports the containers using its own drivers and container chassis by road. In addition to using standard container chassis, Gheys also has hydraulic beds for unloading containers with inner liner into the customer's or its own storage silo via a rotary valve.